A couple of good wargames for the iPad are on sale at 50% off this week. 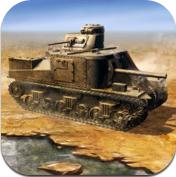 Tank Battle: North Africa and Civil War: 1863 are both available now for just 99 cents and will be until April 22. That’s down from their standard price of $1.99 each. I’ve become a huge fan of this game over the course of the last few weeks. I’ve played it a whole lot – playing nearly all the missions in all the available free and paid-for campaigns at all three difficulty levels. Like a good book, I find this game quite hard to put down. It was also included in our list of the Best iPad Apps of 2012. The game had a recent update that added a number of new missions and campaigns – so I am still playing it fairly often. I’ve also been playing Tank Battle: North Africa for a few months now, and enjoying it a lot too. I’ll review it soon. For now I can just say that I definitely recommend both these games – and at 99 cents today / this week is a great time to grab them. 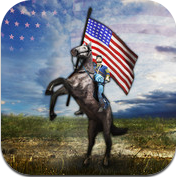 Here’s an App Store link for Civil War:1863, and for Tank Battle: North Africa.